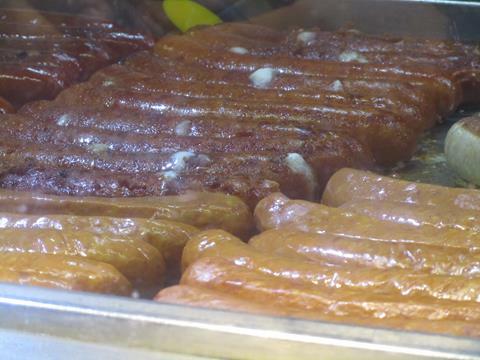 Austria's wealth of history and culture is matched perhaps only by its wealth in cake and sausage. 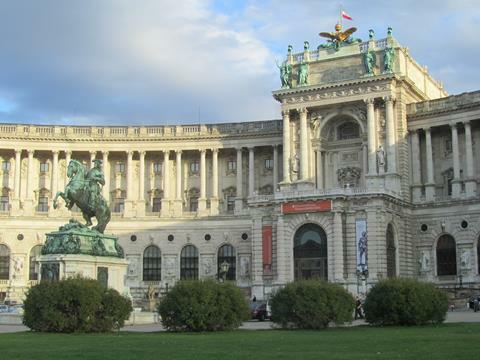 The capital Vienna, was at the height of the Austro-Hungarian Empire, the pinnacle of music, architecture	and theatre, and much of this legacy is retained today. More recently, Sigmund Freud developed	modern psychology, the UN arrived, and more grand balls are held here than anywhere else. 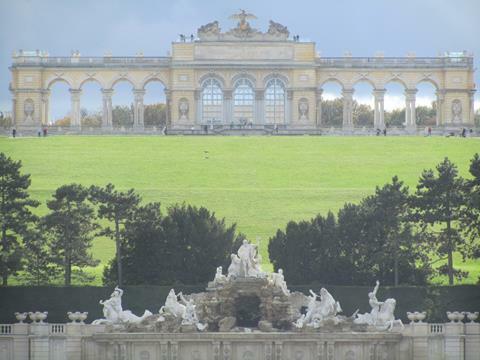 Vienna	is regularly voted as the most liveable city in the world. 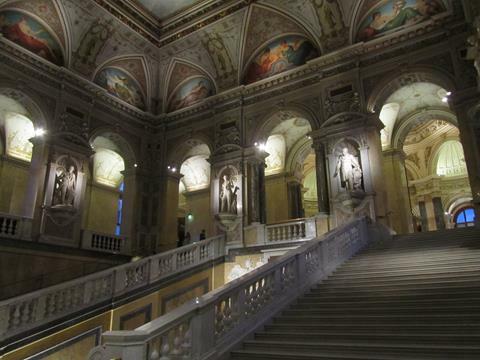 We arrived in Vienna from Rome, and the difference in not only climate but civility was immediately palpable - where Rome can be rough around the edges, Vienna is classy through and through. Staying at	the Do Step Inn at Westbahnhof, exploring was easy on the metro, and much wiener and bratwurst was	consumed by all. We spent two nights before heading off to Bratislava. 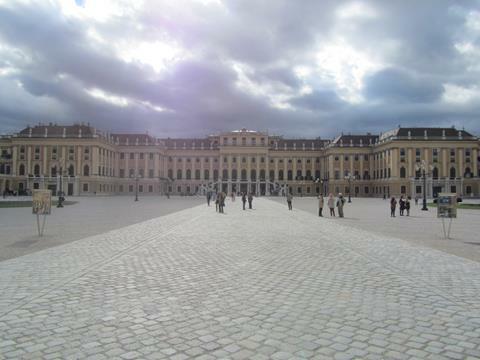 At Sch�nbrunn Palace, the Gloriette stands proudly on the hill in all of its splendour. It was built	in 1775 and has a fancy cafe inside, where I had a piece of classic Sachertorte, the Viennese chocolate	cake. 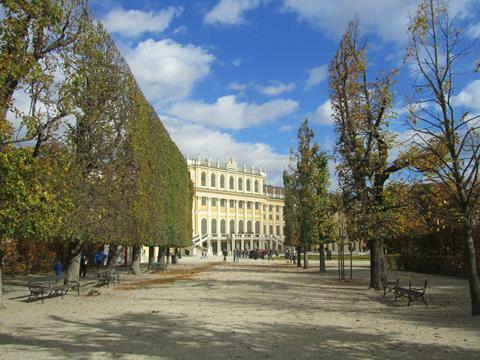 Sch�nbrunn Palace itself was the summer residence of the Habsburg kings, queens and emperors. These	days visitors can wander some of the fourteen hundred rooms, and many grand balls are held annually. 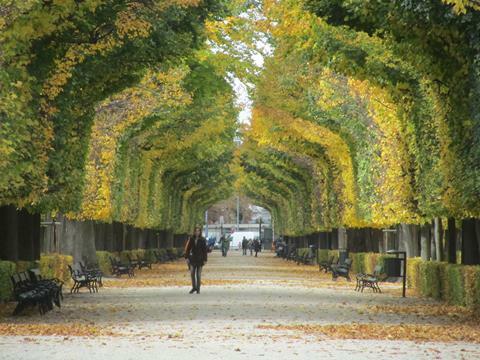 It was pleasant to wander through the paths around the Sch�nbrunn grounds, like tunnels through the trees. 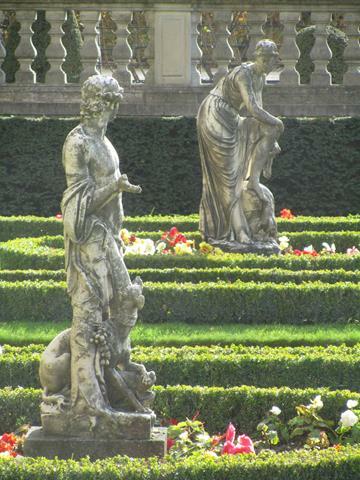 Statues in the palace grounds at Sch�nbrunn. Looking back towards the palace from the gardens. 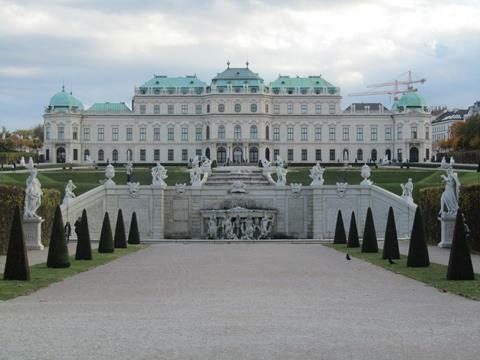 Closer to the city centre is Belvederegarten, which has two palaces, with Upper Belvedere seen here	amongst the Baroque gardens. 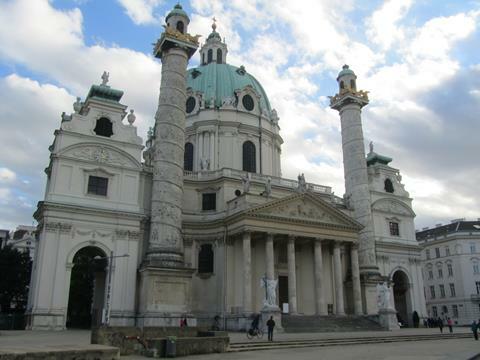 Karlskirche on Karlplatz is one of the larger and pleasingly chunkier looking churches in Vienna, with	large columns outside that remind me of Trajan's Column in Rome. 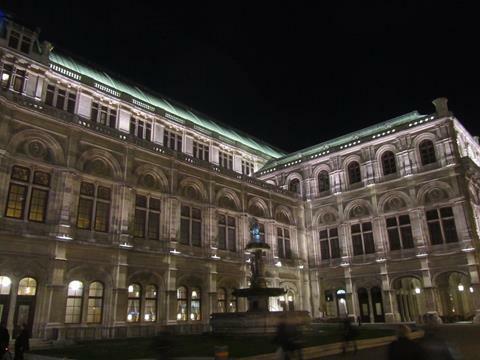 It stands opposite the Musikverein,	where the famous New Year's Day Concert is held. 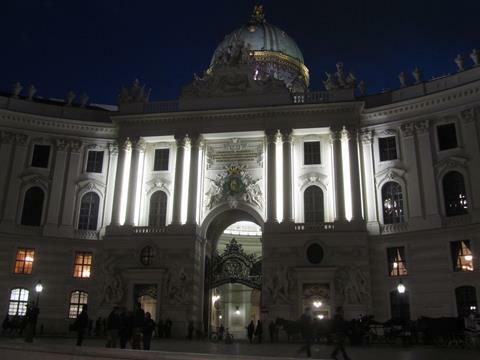 Hofburg Palace was the winter residence of the Austrian monarchs until the end of the monarchy in 1918. This is one of the newer sections, Neue Burg, from which Adolf Hitler addressed the crowds after	his march into Vienna in 1938. Maria Theresa was empress of Austro-Hungary for the last forty years of the Habsburg family's reign. 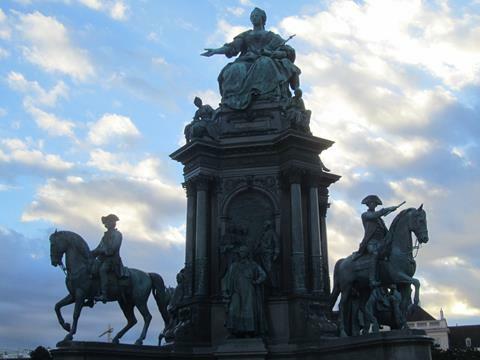 She was born and died in Hofburg Palace, across the road from where her statue sits, in Maria-Theresien-Platz. Maria-Theresien-Platz is flanked by two grand museums, that of Art History, and also the Natural History	Museum as seen here. 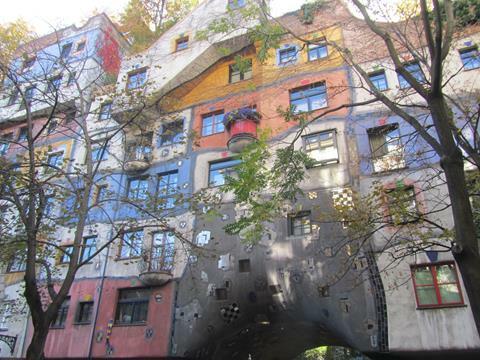 Vienna has continued to push the boundaries of architecture, particularly with the Hundertwasserhaus,	seemingly a cross between an apartment building and a piece of modern art. It is intended to have	as few straight lines as possible. 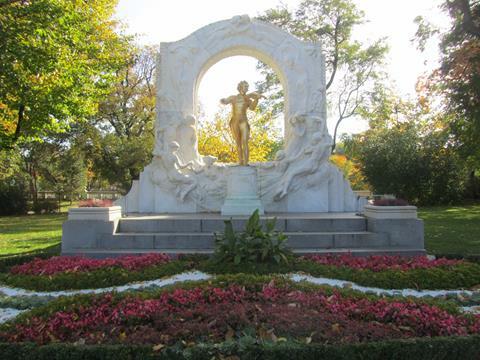 In the Stadtpark, statues of many of Vienna's most famous sons can be found, including none other than	Johann Strauss who stands plated with gold. He is most famous for his waltzes, including The Blue	Danube. 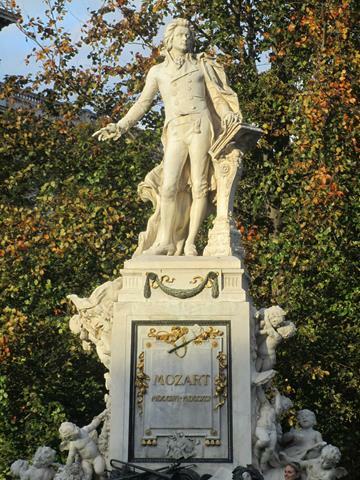 Wolfgang Amadeus Mozart is certainly one of the most famous composers who ever lived, and is also well	represented throughout Vienna. One of the earlier classical composers, his was the Baroque period	of music, in the days of the harpsichord before the piano was invented. 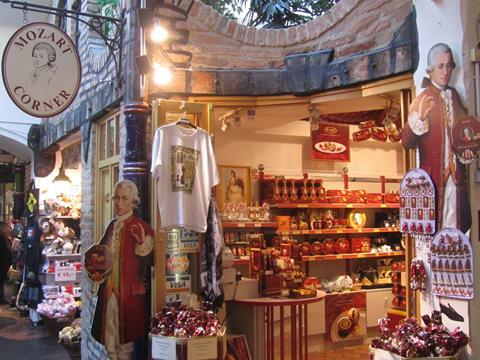 These days Mozart has branched out into the world of commercial merchanidsing, as he appears to own	a vast number of tourist-trap shops throughout the city of Vienna. Needs must, I suppose. 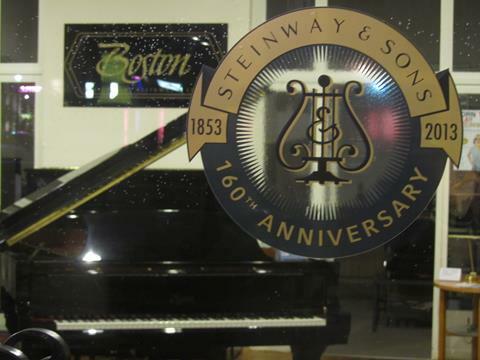 Speaking of pianos, I chanced upon a showroom of the world-famous Steinway & Sons piano makers, and	enjoyed looking around inside at instruments worth more than my house. Although the company is German-American, Vienna the City of Music would not be complete without their representation here. The Wiener Staatsoper or Vienna State Opera is another of the city's famous musical institutions, which	like its equivalent in Frankfurt suffered serious damage during the war. It has however been fully	rebuilt since. The Spanish Riding School is Vienna's central facility for dressage and all other horse-related amusement. 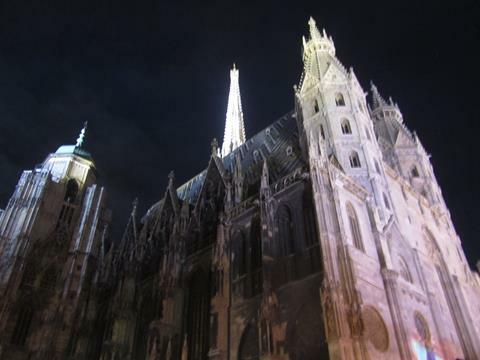 St Stephen's Cathedral marks the very centre of Vienna, its gothic spires surrounded by Christmas market	stalls in Stephansplatz late in the year. 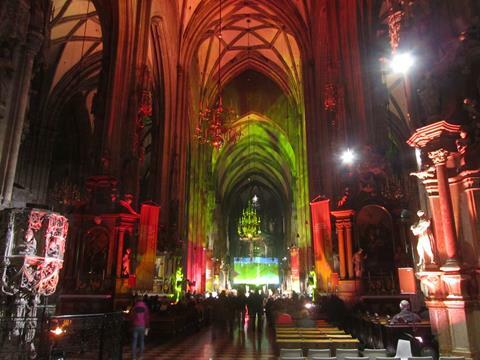 Inside Stephansdom, the cathedral is atmospherically lit following its renovation in the early 2000s. 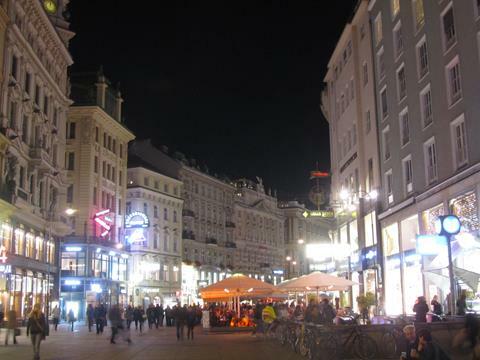 Graben snakes away from Stephansplatz, one of the main broad streets through the centre of Vienna, now pedestrianised. Bratwurst, Frankfurters and other varieties of sausage are a cheap and tasty snack from the stalls on	Graben, some of these contain cheese too! Usually served on a bun or with bread and a couple of types	of mustard. 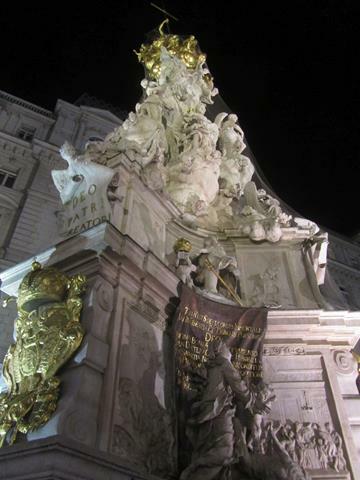 Further up Graben stands Pests�ule, a monument to the plague victims of Vienna during Europe's most	recent plague in the late 1600s, shortly after the Great Plague and Fire of London. The monument tells the story in sculpture form. 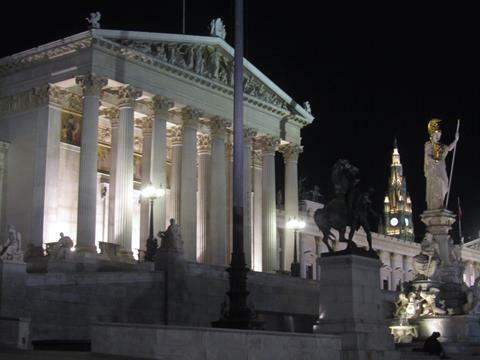 The Austrian Parliament Building on Ringstra�e, and the fountain of Athena in the foreground. In the	distance the Rathaus clock tower can be seen. 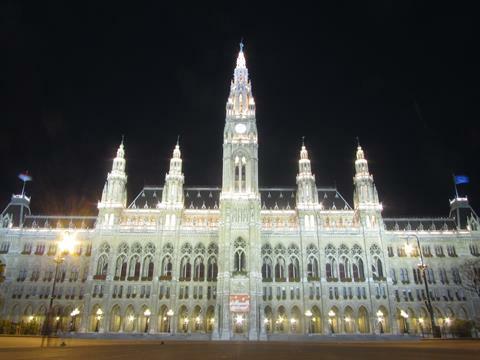 Vienna Rathaus, the city hall is one of the most splendid buildings in town, spectacularly lit at night	as seen here. It is one of the most impressive examples of Gothic architecture I have seen. 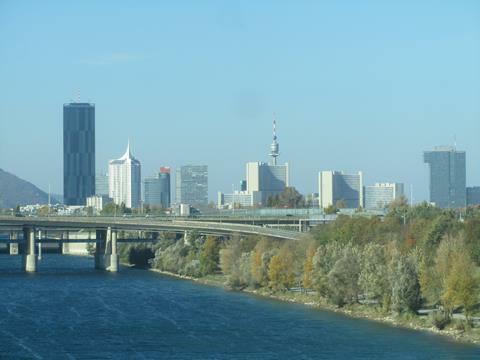 The Blue Danube, looking as beautiful and blue as the Strauss waltz would have you believe, does not	in fact flow through the centre of Vienna, rather the bulk of it divides the 20th century Donau City	from old Vienna. For flood control, the meandering Donaukanal route through old Vienna was regulated,	and then another channel parallel to the nearly-straight Danube bypass of Vienna was cut in the	20th century.